New Japan Pro Wrestling President, Harold Meij, has handed down several new rules to NJPW athletes today. NJPW sent out a notice to fans yesterday stating there would be new guidelines issued to wrestlers. This was mentioned as having to do with the actions of Tama Tonga and the Firing Squad during this year’s G1 tournament. The company sent out a Japanese-language press release today which will likely be sent to English-language media in the near future. The press release continues to say certain actions of wrestlers were previously not a problem. 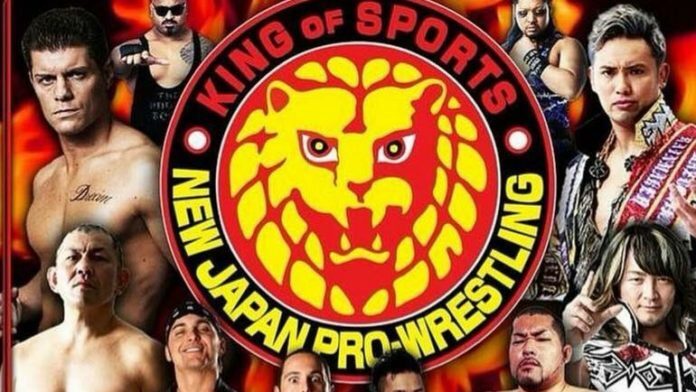 Now that NJPW is broadcast all over the world, however, these same things will now need to change. The press release even continues to say that wrestlers using heel-like tactics often does not translate well into society at large. There was no mention of Tama Tonga in the press release. The release continues to say they will take action against offending wrestlers in the future. It does not appear any action has been taken against Tama Tonga or any members of the Firing Squad at this time, however.